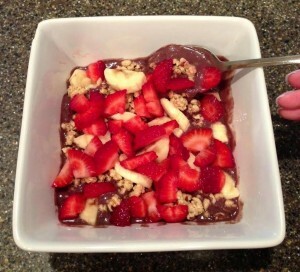 The Balanced Beauty Summer Slim-Down Series: Amazing Acai Bowl! Today’s Summer Slim-Down Recipe comes from fabulous friend, Beauty/Wellness Expert and Journalist, Grace Gold! This Acai Bowl makes for an energizing breakfast or delicious afternoon / evening snack, with incredible superfood and antioxidant value! Sliced strawberries, diced mangos, and blueberries work especially well as fruit toppings. Balanced Beauty tip: In the off-season, purchase fruit frozen, so that you always have them on hand… Feel free to experiment with your favorite kinds! Add a frozen banana for a thicker, more smoothie-like base. – Fruit of choice to top*Check website to purchase/find Sambazon packs near you! 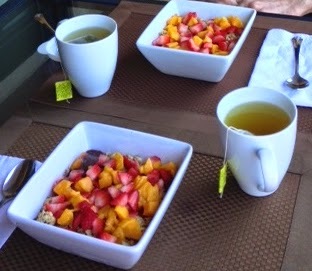 – Top with granola and your choice of fruit! Balanced Beauty Grace Gold is a multimedia beauty and wellness journalist, who provides expertise and reporting on-air, in print and online. Below she demonstrates the hottest beauty products on the TODAY show with Kathie Lee and Hoda! 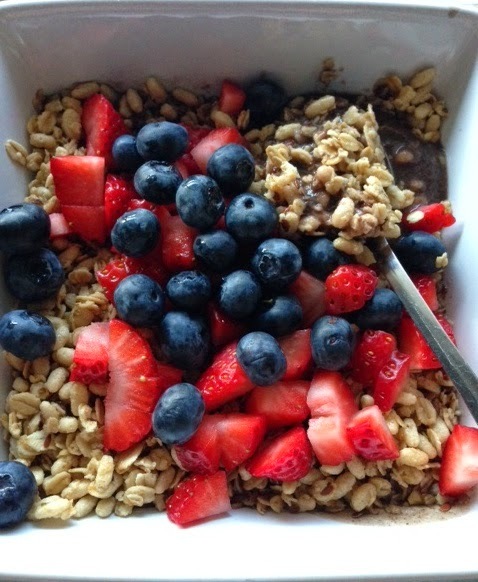 Keep following the Blog and @1BalancedBeauty for healthy, delicious SUMMER SLIM-DOWN RECIPES. Featuring the hottest tips from leading Health Coaches, Beauty Experts and industry professionals to help YOU feel your most fabulous!! !